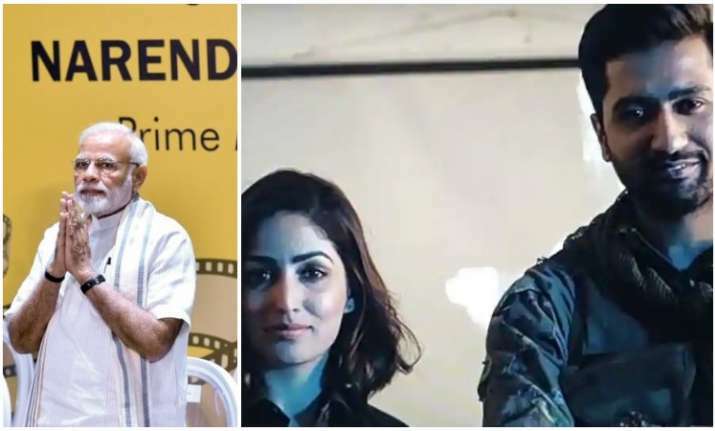 While the Vicky Kaushal and Yami Gautam starrer Uri is winning hearts all over, the film’s dialogue ‘How’s the Josh’ has been creating buzz all around. Even Prime Minister quoted the viral dialogue at the National Museum of Indian Cinema (NMIC) inauguration on Saturday at a 19th century heritage bungalow in the country’s film capital, Mumbai. “Today when all of you have come together to take Indians’ entertainment industry to new heights, I have a question for all of you. Every generation of stars are present here, and when I am here with the film fraternity, let me put it this way, ‘How’s the Josh?” asked PM Modi at the gathering at the event. His question was met with a round of applause and amidst which, the crowd shouted out ‘High Sir’. #WATCH: PM Modi asks “How’s the josh?” at the inauguration of National Museum of Indian Cinema in Mumbai. Singer Asha Bhonsle shared several photos from the event.